To mark the end of my time at MIT, I held a presentation on January 16th on the topic of NATO expansion in eastern Europe. As someone who has covered the effects of the NATO bombing on Kosovo and the Balkans, I’ve fostered an interest in the topic of NATO expansion over the years. I was able to expand on my knowledge during my time at MIT and especially at the Center for International Studies since so many of their fellows have a military and security background. 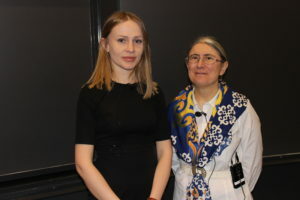 Elizabeth Wood, professor of Russian studies at MIT was generous to hold this talk with me. She has gone out of her way to be kind and welcoming to me during my time at MIT and her background on the breakup of the Soviet Union (and travels through the former Yugoslavia over the years) made her an excellent companion for this panel. The room was packed! Wow. Initially, I was extremely anxious, but I built my confidence as the presentation went on. 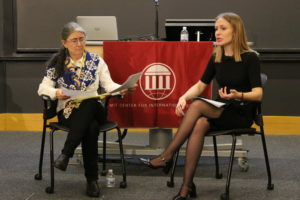 It was great to be able to give back to CIS by organizing my own panel after to going to so many wonderful ones at MIT, Harvard and other venues in Cambridge during my time here.